If you look at your smile with surprise, wondering where the brightness has gone, thoughts of teeth whitening may come to mind more often than not. We all love what we see when we look at the smiles of our favorite celebrities. They all seem to have been born with perfectly straight, perfectly radiant teeth. Even though most people have come to the point of knowing that celebrities’ smiles (and then some) are manufactured with a little help from a good cosmetic dentist. What isn’t so well-known is exactly how they come to the beauty we perceive as so natural. 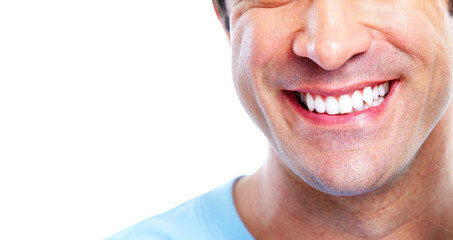 Often, it is assumed that a bright smile is the result of strategic teeth whitening. In some instances, this is true, but rarely when it comes to the smiles that we see on TV and movies. The idea that teeth can be made overly white, or even that they should be can ultimately foster a misperception that hurts more than it helps. When it comes to teeth whitening, there are a few things that you need to know. Understanding how the process works, and what it really should accomplish, can save you unnecessary discomfort and more. Teeth whitening can lighten the brightness of the smile about a dozen shades. That is quite a lot, and it is quite enough. Over the years, dentists have continually seen patients take their whitening too far. This is easy with all the home-treatments that are available, but over-whitening should be avoided at all costs. Over-whitening can mean extending far beyond the natural color of enamel. It can mean wearing whitening strips or trays for too long or touching up the radiance of the smile too frequently. In any one of these situations, problems may occur. The initial consequence of overuse, even of commercial whitening strips, is an irritation. The dehydration that occurs makes the nerves of teeth more responsive. This means sensitivity and not just sensitivity to hot or cold. When the whitening gel is used too much, you may want to do nothing but sit with your lips clamped tightly around your teeth, as if this will relieve the constant discomfort that has developed. Used too frequently, a whitening gel may also break down enamel, eroding the surface that is necessary to protect inner structures. There is a right way to get a brighter smile. Our friendly team is here to see you through your teeth whitening treatment with ease. Call 660-747-9117 to start your process.